Our clinical team members comprise the true power of our organization. We understand that a service company’s true value is in the people that deliver care every day 24/7. We value our employees and celebrate them whenever possible. You will hear our employees “bleed black and red” as they embody the culture and spirit that makes this company uniquely different. Although the company pedigree started in critical care transports, we currently provide a full range of patient transportation needs. 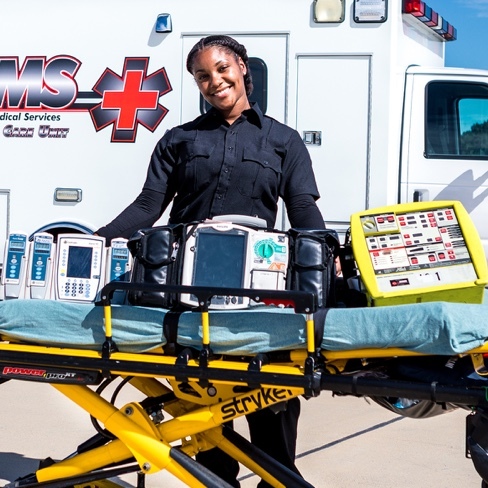 We employ specialty transport trained paramedics, field paramedics, EMT-Intermediates, EMT-Basics, and alternative transportation specialists (wheelchair, knee walkers, medical scooters, etc.). Each division in our state has an operations director who supervises employees and interfaces with our home station office and 24/7 dispatch center. Learn about our career and benefit packages.